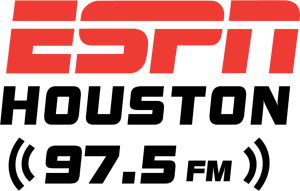 Taylor Twellman, ESPN's lead soccer match analyst for Major League Soccer and the U.S. Men's National Team, joined Soccer Matters with Glenn Davis on ESPN 97.5 to talk about the upcoming USMNT friendlies in Orlando and Houston. Among the topics Twellman and Davis dive in are the forward pool, criticism in the media and ticket pricing. The U.S. Men will face Ecuador at Orlando City Stadium on Thursday night (7 p.m. CT, ESPN2) before coming to Houston to face Chile at BBVA Compass Stadium (7 p.m. CT, ESPN2). Twellman will be the color analyst for both of those national broadcasts. You can hear Soccer Matters with Glenn Davis Tuesdays on ESPN 97.5 from 7-9 pm. You can listen live or on demand with the ESPN 97.5 radio app and on PodcastArena.com.